After seeing OMG Suzie’s baritone, Craig wanted one as close to hers as possible. 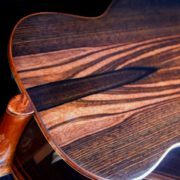 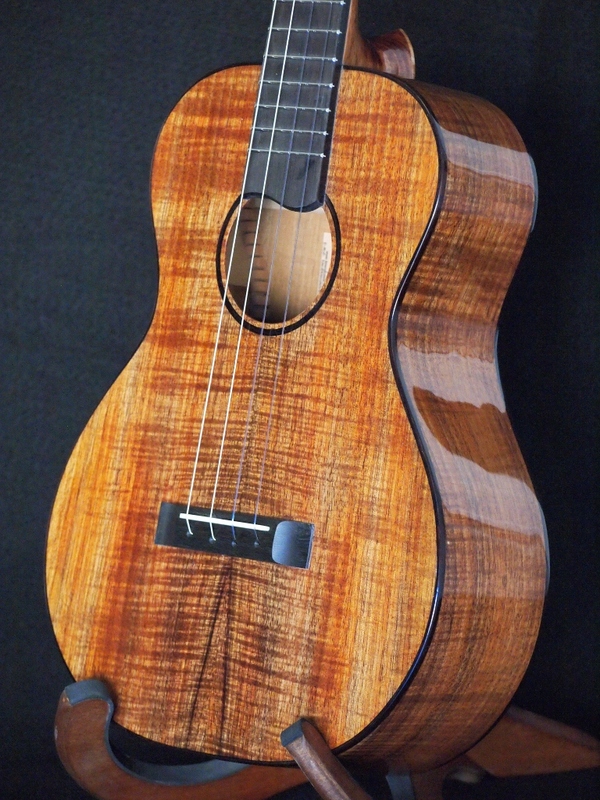 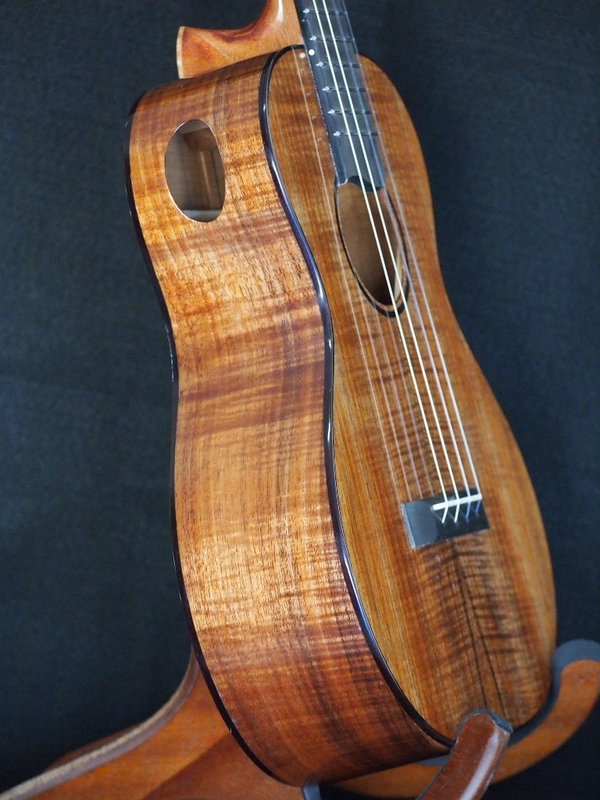 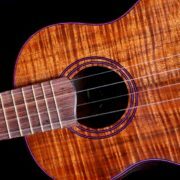 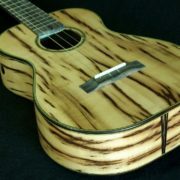 This instrument is constructed out of the same wood as Suzie’s, with East Indian Rosewood binding, and Oregon curly maple accents–no frills. 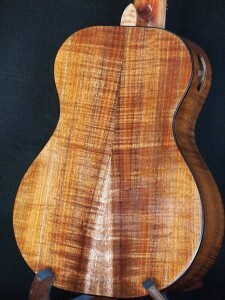 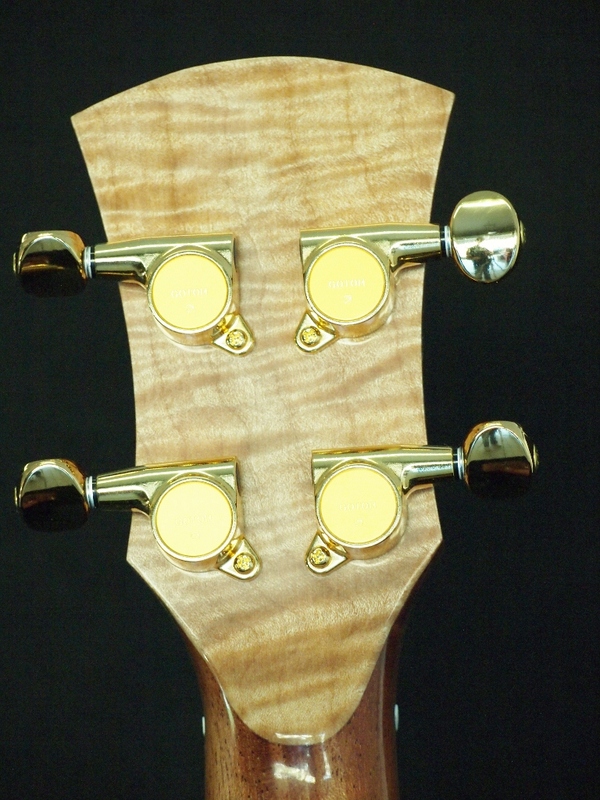 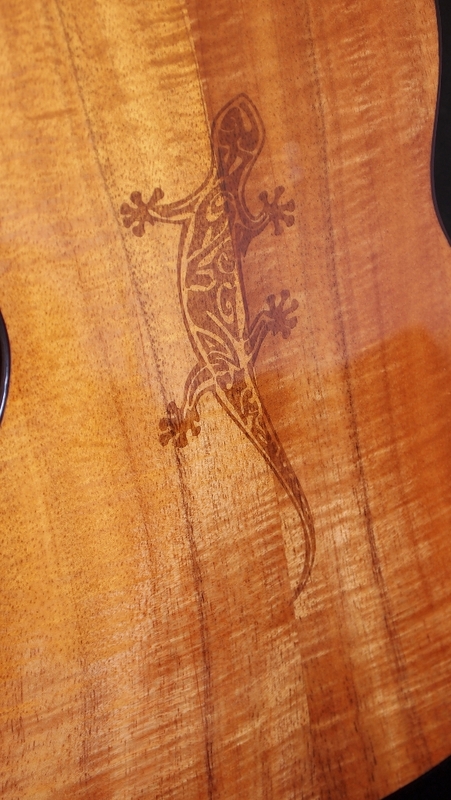 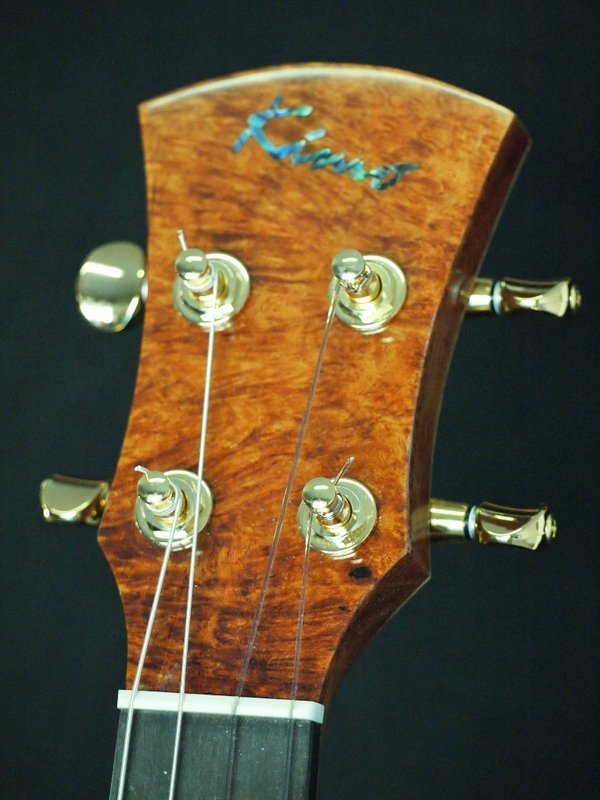 The headstock is Maidou Burl. The tuners are Gotoh Mini’s in gold. 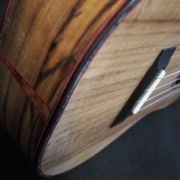 I like making these instruments and consider them small guitars. It is fun designing bracing that I think will support the wood the customer’s desires and deliver the sound expected.